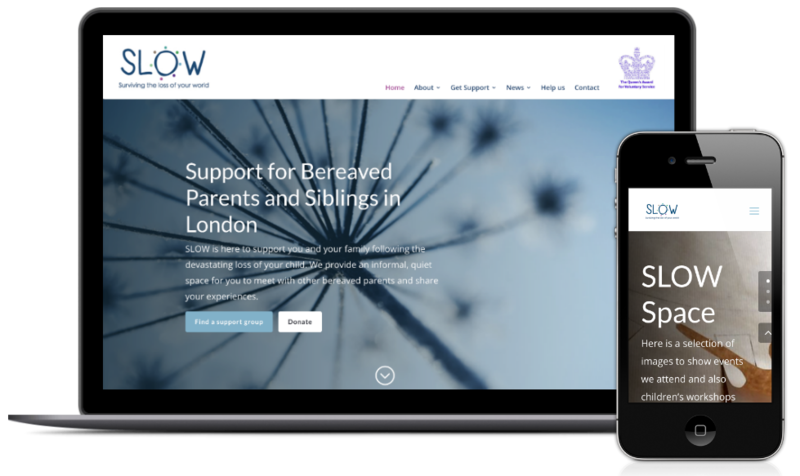 SLOW is an award-winning bereavement charity offering support to bereaved parents and siblings based in London. 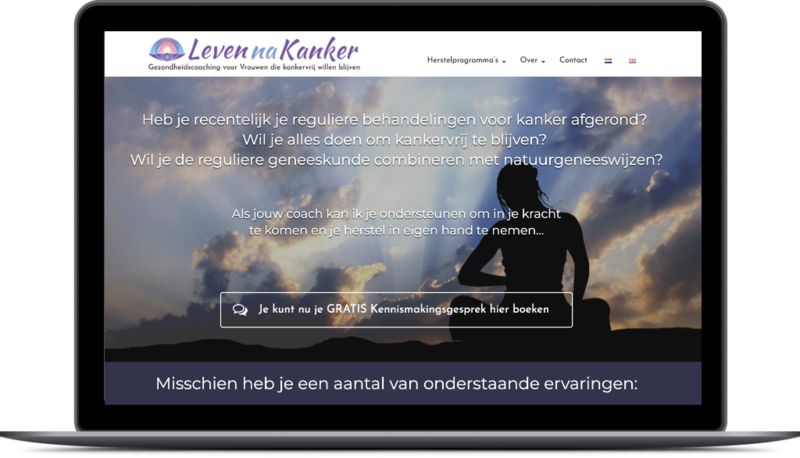 A complete overhaul and redesign of the existing website, to improve functionality and to increase traffic and widen the organisation’s reach. 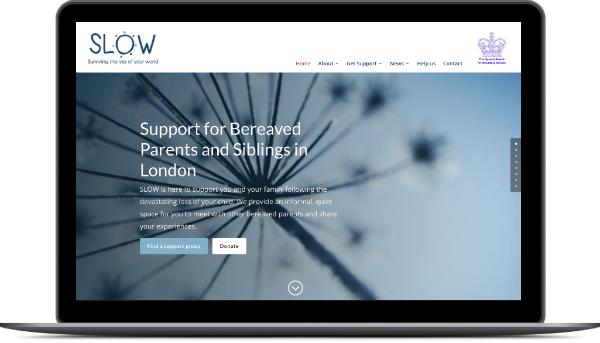 “It’s been an absolute pleasure to work with Sophie on the rebuild of our charity’s website. 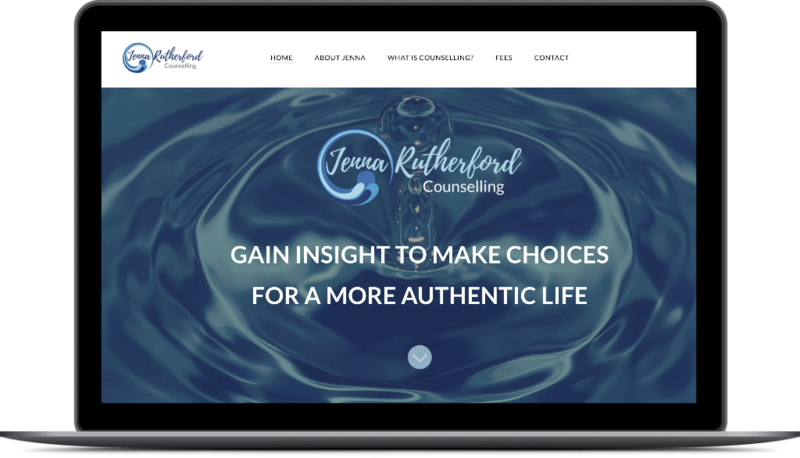 She quickly got a feel for our work and has honoured our style and ethos completely in the redesign. She has a real eye for design which has made working with her so easy as we loved all her initial ideas. Behind the scenes she advised us on the technical side of the website, guiding us on domains, SEO and hosting etc.